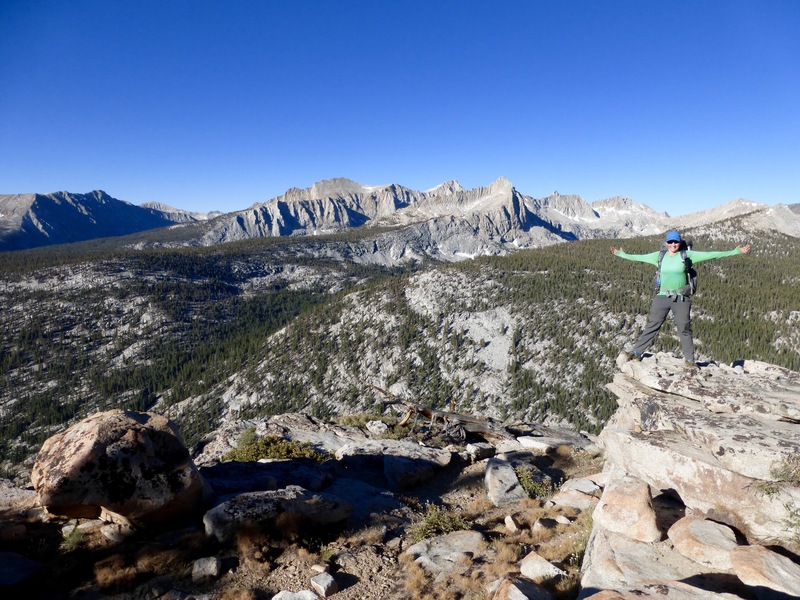 Today was the day I envisioned on the High Sierra Trail! We awoke to a nice reflection on Moraine Lake and headed out at 6am for some wooded uphill hiking. It was nice and gradual up to a nice viewpoint that I joked looked like McAfee Knob on the Appalachian Trail. 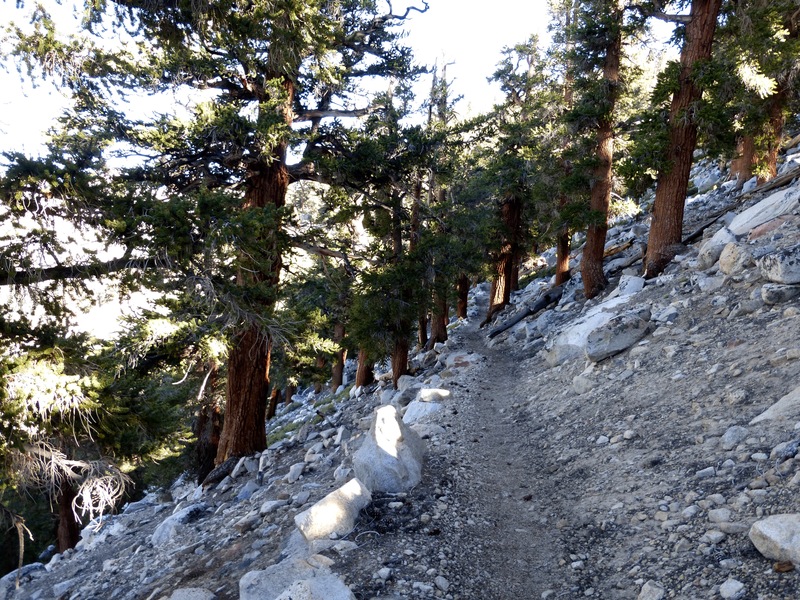 From there, we had nice gradual downhill on a Yosemite-esque trail engineered quite nicely within the rocks. I was impressed with it, but little did we know the feat of engineering of trail that laid ahead. Soon after that, the really great stuff started. 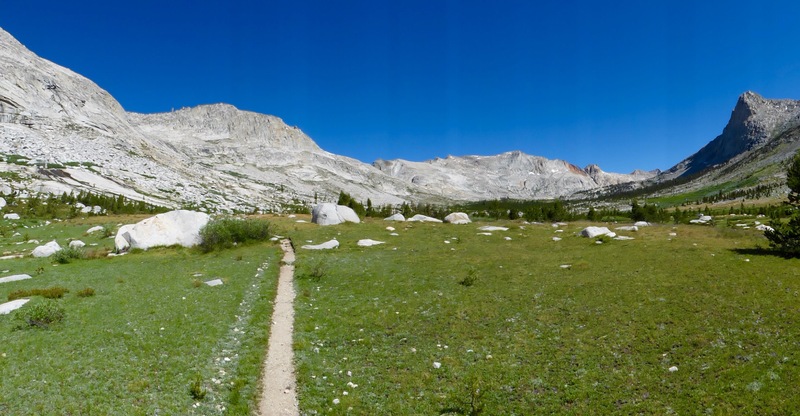 We hit Arroyo Creek and headed up canyon toward Kaweah Gap in a gorgeous meadow. The photos do not do it justice, but it was pretty darn grand in size, the weather was absolutely perfect, and wildflowers are out. Coming off a day in the woods yesterday, it was quite the sight. I had my music going on the gradual climb and things really couldn’t have been any better. The song of the day I had on repeat was Chasing the Sun by Sara Bareilles. 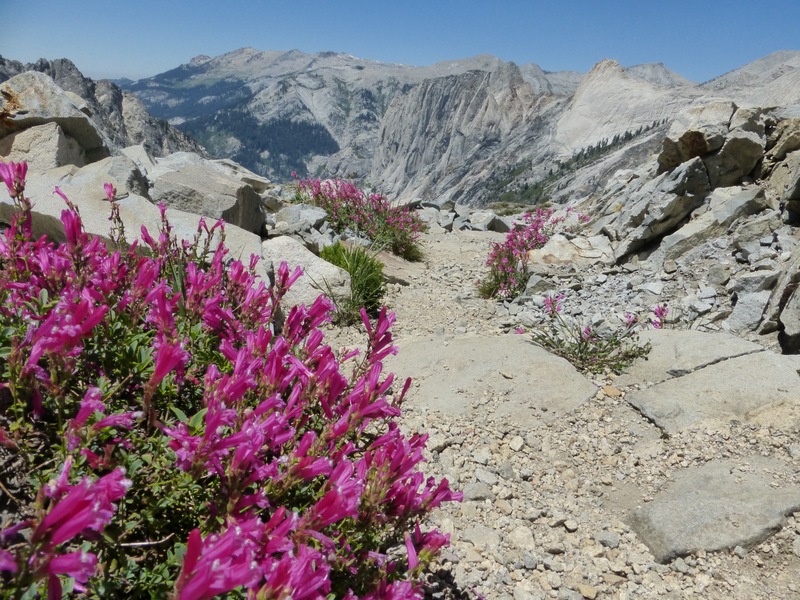 Heather along the trail near Kaweah Gap. 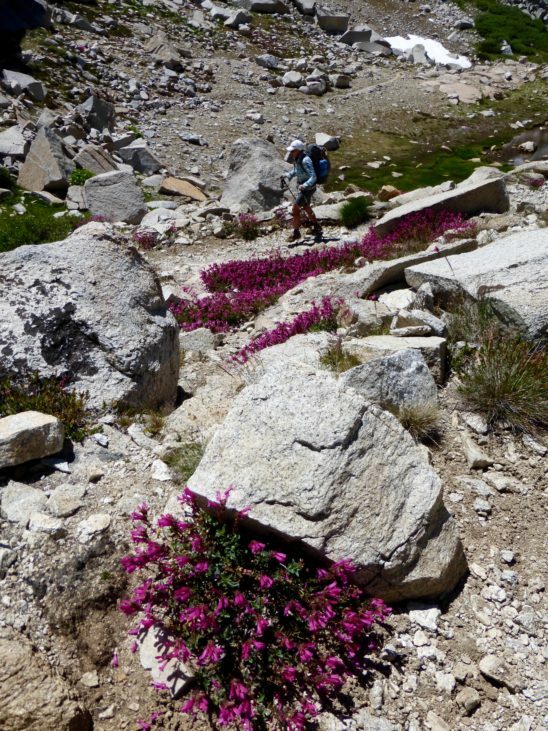 We saw plenty of other hikers today, and for good reason. 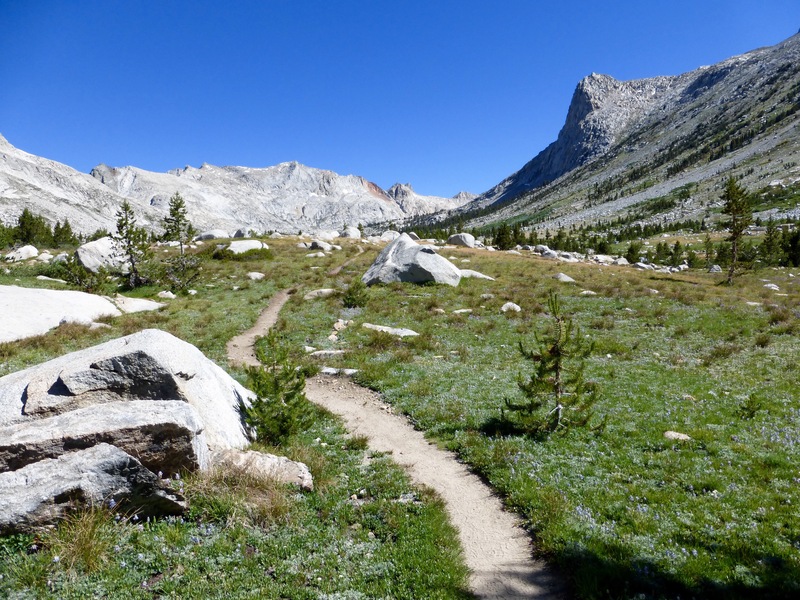 This stretch of the High Sierra Trail is world class stuff. A shout out to Nicole who we met who follows all our blogs. Hope your hike went great! We found out from Nicole that another hiker had seen 5 rattlesnakes on their HST hike and they had seen one already when they started, so apparently there are rattlesnakes on this trail! 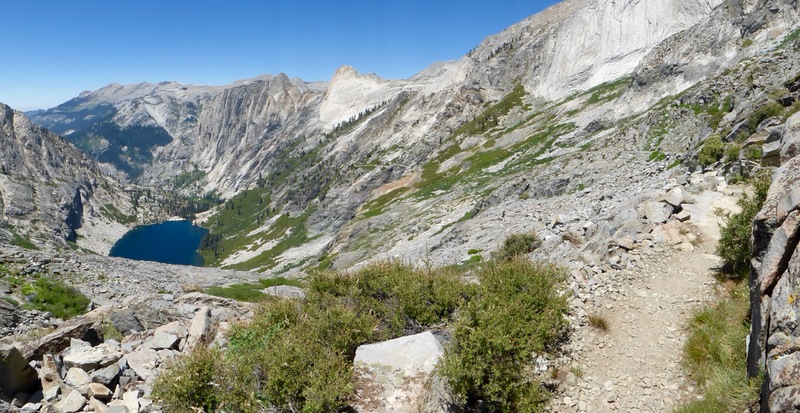 There were many lakes and tarns as we descended from Kaweah Gap. 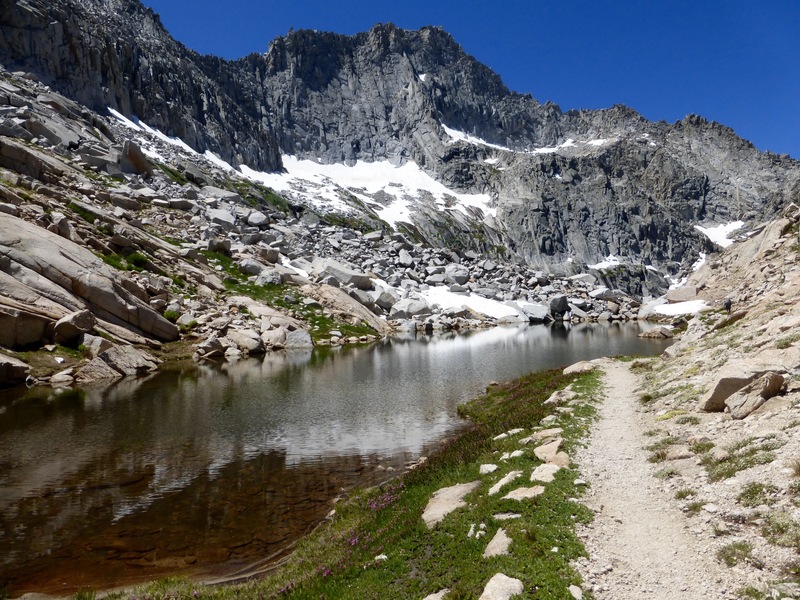 A tarn on the way down from Kaweah Gap. Then we got to Precipice Lake. One that Rockin’ says she’s wanted to see for years. She says it’s an icon of the Sierra and in many art books of the Sierra. I can totally see why. We weren’t even there during the best time for lighting, and it was definitely grand. An emerald color with the sheer dark granite wall behind it with large black streaks and water running down it. 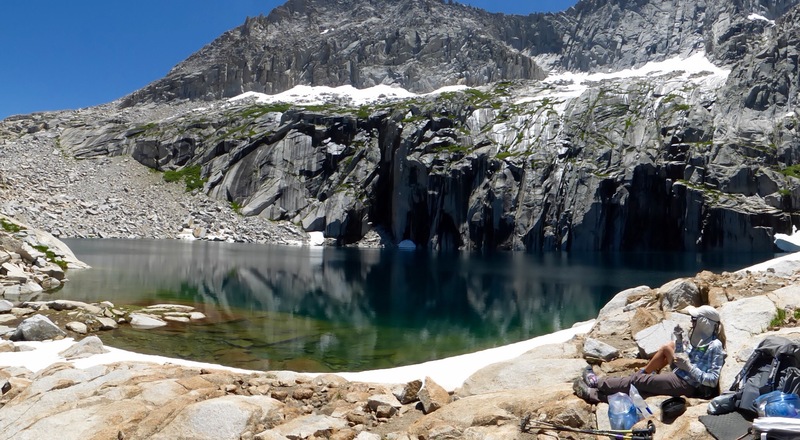 Lunch spot at Precipice Lake. We continued this amazing tour down towards Hamilton Lake. Oh man, the engineering of the trail was incredible with how it cuts through the rock. Look closely, and you can see the trail cutting across the rock on the far right switching back down to Hamilton lake. 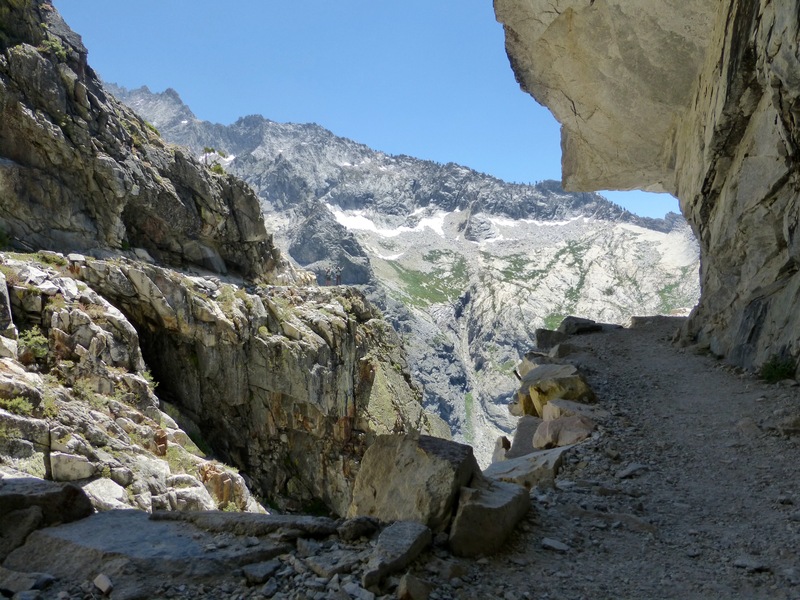 A couple of times, the trail wove in a short side canyon and bent right back out, the whole way blasted into the side of the rock with steep drop offs. This one bend was just amazing with a tunnel on one side. Standing on the bend with the trail entering on one side and going through a tunnel on the other. The view on the other side of the tunnel. Look for Rockin’ & Why Not on the distant left cliff. 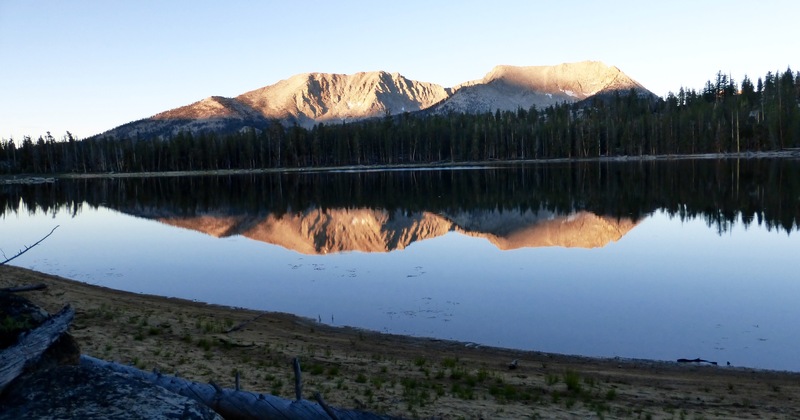 When we got to Hamilton Lake, it was packed with hikers. It’s quite the destination. Many were swimming and Rockin’ and Why Not had a great time swimming and lounging on the slick rock around the water. I got my feet in, which is big for me. Rockin’ in Hamilton Lake. 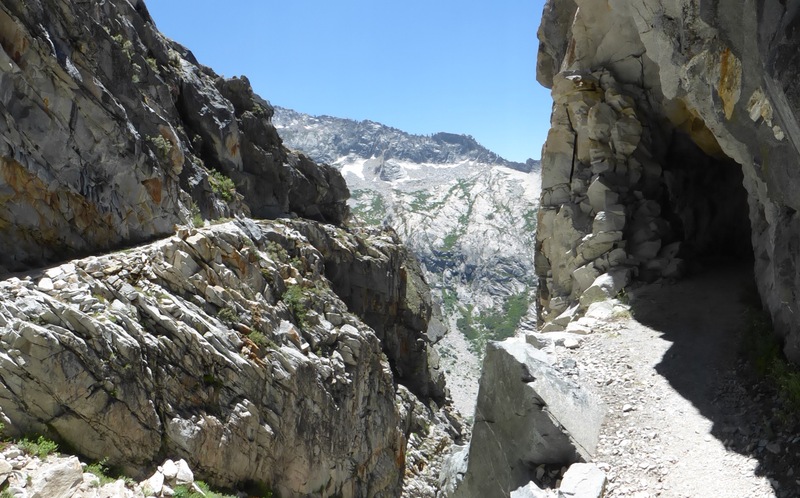 We came all the way down from Kaweah Gap in the center. 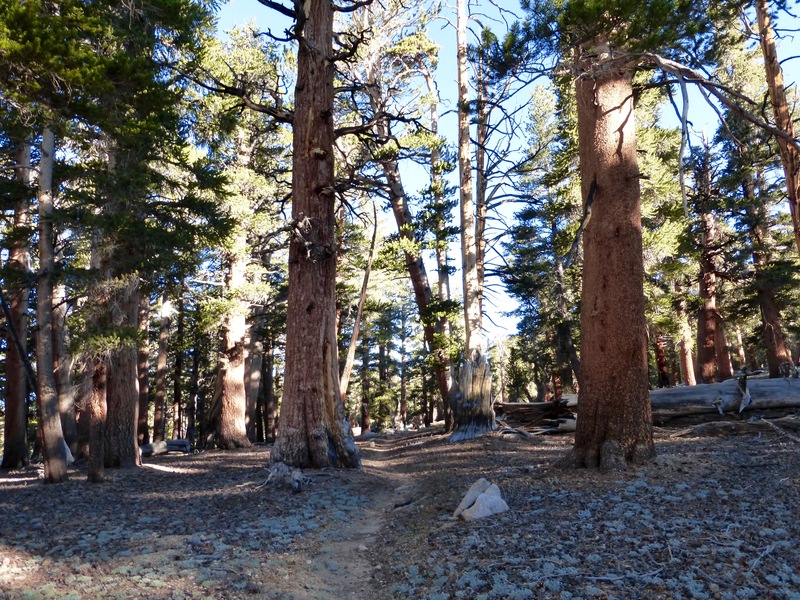 After a break at Hamilton Lake, we headed out for the final miles that we thought would be downhill to a formal campsite called Bearpaw Meadow. 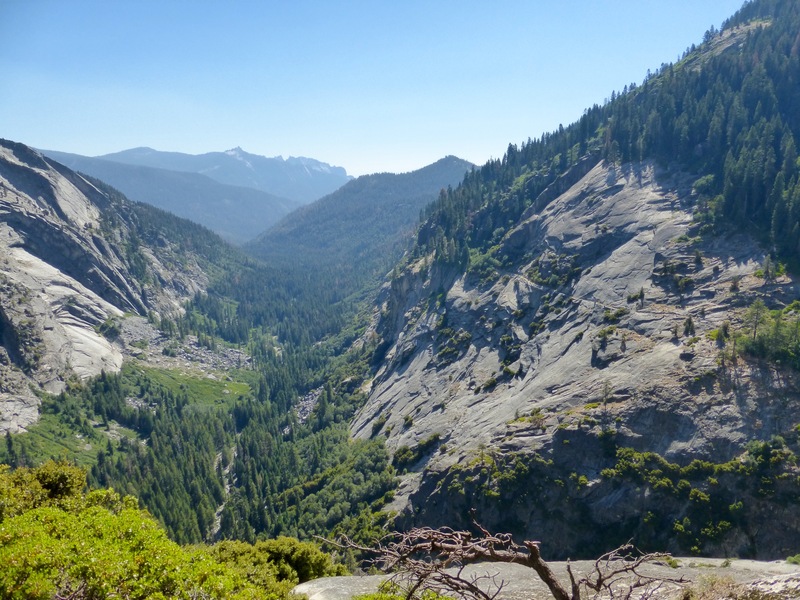 We expected to be going down to the bottom of the valley and were surprised to find out the trail stayed high and there were switchbacks both up and down. Notice our trail cutting across the far rock face, not going down to the valley. We had wanted to go further, but by the time we got to Bearpaw Campsite at 5:20pm, we were pretty happy to stop. 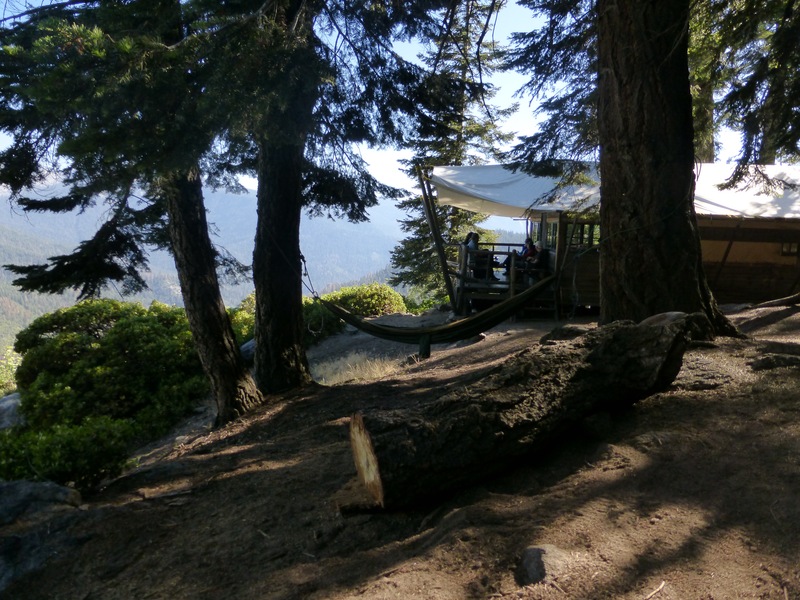 There was one of the upper scale High Sierra Camps there that people pay for and have to reserve way in advance. They sleep on cots in large tents, have bathrooms, and meals cooked for them. 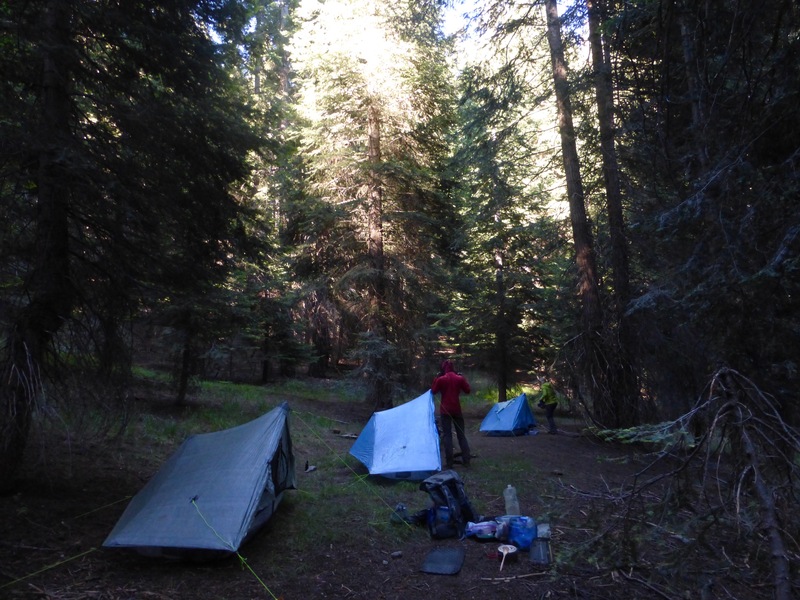 Bearpaw Meadow High Sierra Camp. The person running the camp told us that after dinner, he sold beers and brownies to the other campers, so Why Not and Rockin’ did that after we found a camp spot and set up. They brought me back a huge brownie! Not long before we got to camp, I realized I’d lost something. Argh! I seriously can’t go a single hike without losing something! This one is kinda embarrassing. It’s a pair of underwear. I know, how do you lose a pair of underwear. Well, I have two I rotate, and each day I wash one at lunch and let it hang off the back of my pack to dry. 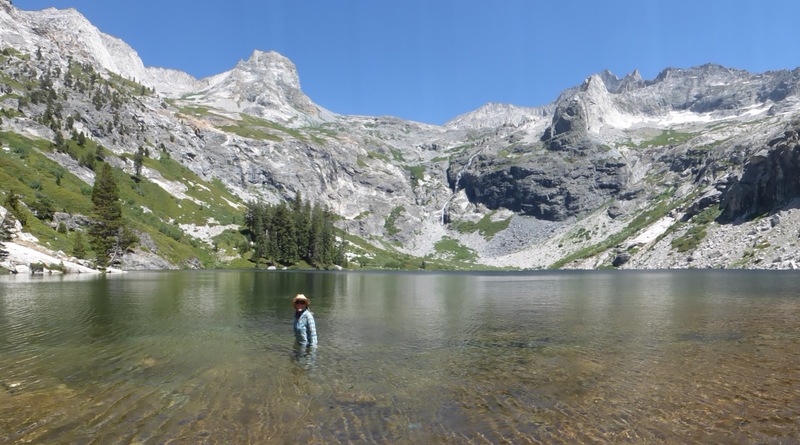 When we got to Hamilton lake, they were still not dry, so I laid them in the sun and totally left without them. Ugh! I have another pair of the same thing in the car that we will get to tomorrow, but it’s just annoying that I can’t go even a 3.5 day hike without losing something and it’s terrible that a pair of underwear is laying out at that gorgeous lake. Classic. At least I budget for this idiocy. 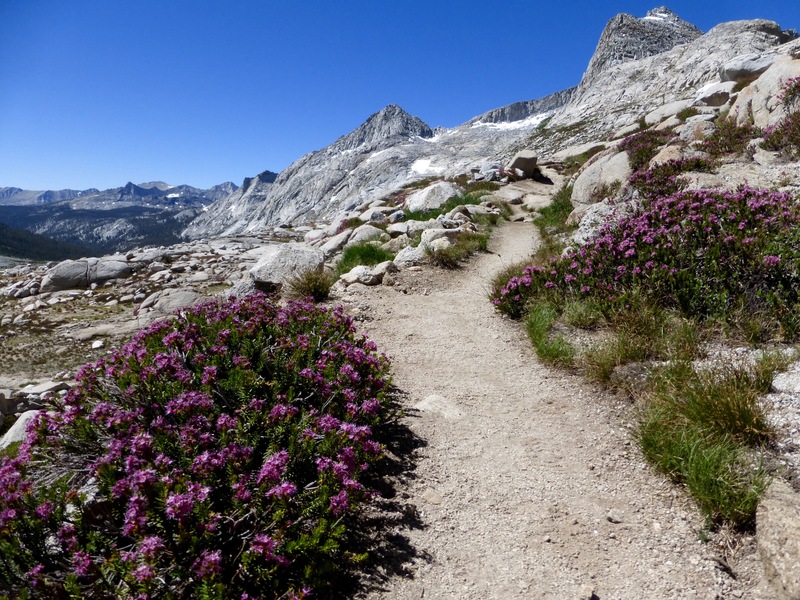 Tomorrow we have 11mi to hike out, and then a bunch of hitching to get back to where we parked the car a month ago at the start of the Sierra High Route at Roads End trailhead. I’ll comment more tomorrow on the High Sierra Trail as a whole, but we all agreed that our day today was stellar and world class hiking. Just incredible! Ok, I’m done early again tonight and get another episode of UnReal before bed, yay! Do you need someone to send you underwear to your next resupply??? Can do! It wouldn’t be your story, without a series of lost items…..! Then by the end of that summer, my sis found the missing underwear in her drawer in Chicago from when I had visited the summer before! So I had an third pair now that just happened to be in my car with some other clothes when we finished the hike the other day and now all is right with the world and I’m back to just two pairs. Whew, we can all sleep well knowing that much detail. I love the hilarity of your honesty! Yep, can’t make this stuff up! 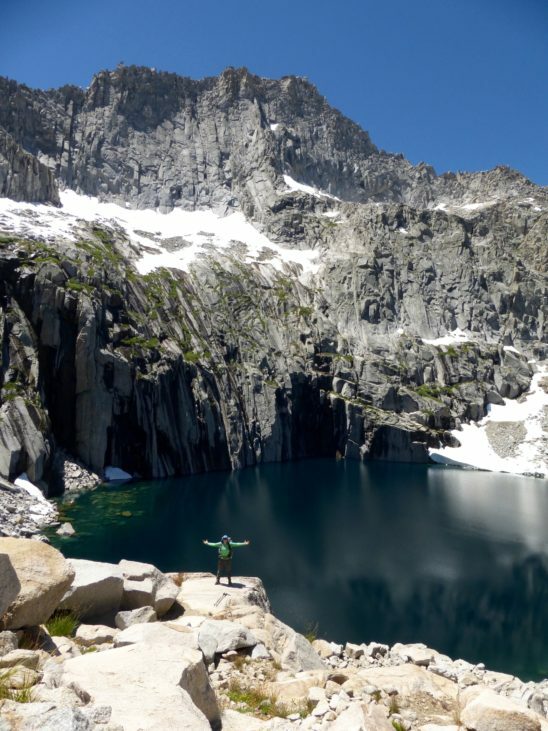 I’ve only seen precipice lake while frozen over. I’d love to have seen it the way you saw it, thawed and with reflections. Great pictures. The deer chewed up our clothes at hamilton lake while we left them out to dry. It was a lesson learned for us on that trail and we were bummed to have gross clothes the rest of the trip. Oh man, maybe that’s where it went! I swore I had it by my pack so I wouldn’t forget it. Now I can blame the deer! No mistakes!? Yippee! It’s like I just got 100% on a test finally! We missed one on Day one that someone just caught. I wrote that Whitney was the highest in the “continental” US instead of “contiguous”. How’d you miss that one!? I always blame autocorrect for things like contiguous morphing into continental..
Hey I still cannot use the two finger spread to expand our posts and pictures, but When you mentioned tapping, I got a double tap to expand the pictures… very nice! That rattlesnake really posed for the pictures! The only one I have ever met in person was rattling loudly but slithering away because I had 6 adult Labradors with me and one almost had a nose on it.. Thankfully, I was able to call her off and hustle all six dogs back inside, but that was scary and 5 feet from our front door in Modjeska Canyon (Cleveland National Forest in Orange County). Your guy did look like he was taking a stand, right there on the trail!!! Still amazed that at least two of you got pictures. I zoomed in quite a bit to get that shot. Glad we figured out the double tap works! A great perk of moving to WordPress for sure. Wisely keeping your distance from said rattler!! It kind of looks Howse Pass! (not) 😉 Hugs to you and the ladies! Haha, I do think you’d like this route Leslie. What an absolute picture fest. Erin, thanks for all the narration and lovely stills. It keeps me out there a few more days even though I just got back home.